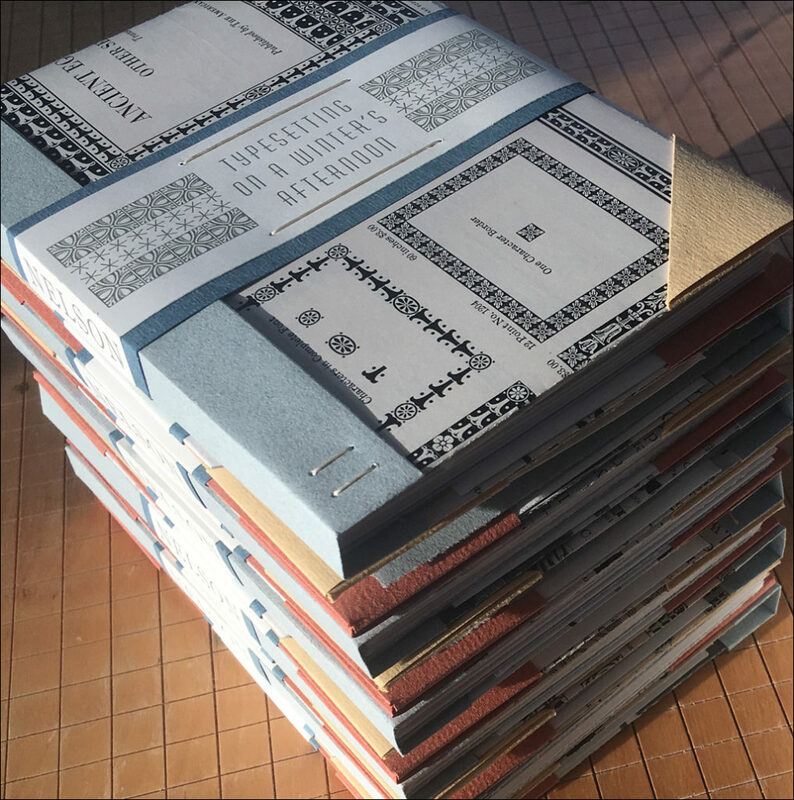 Ten copies of Typesetting on a Winter’s Afternoon ready to sell at the Manhattan Fine Press Book Fair on Saturday, 9 March 2019. Suppose you will not be able to attend the fair, but have an interest in obtaining a copy of this very limited and collectible edition of just 26 copies—request a prospectus by email or US post before they’re gone. Thank you for interest and support of The Heavy Duty Press.